After Thursday night’s ceremony, Frank Kaminsky’s No. 44 joins Ab Nichols No. 8 — the only numbers immortalized in the Kohl Center rafters. 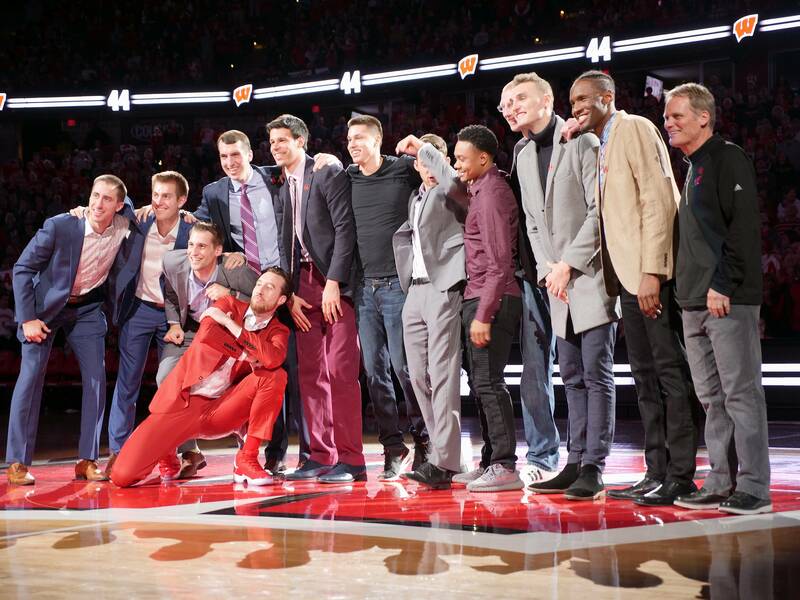 The Wisconsin Badgers honored Kaminsky not only with this commemoration but also with their play, as the team pulled off an enormous upset win against No. 6 Purdue. Kaminsky’s career in Wisconsin was illustrious, to say the least: two Final Four appearances, a Big Ten Championship and the John R. Wooden Player of the Year award are just a few of the accolades the star player earned during his stay in Madison. Kaminsky, however, was not the same figure leaving campus as he was entering it. In 2011, Frank Kaminsky was a three-star prospect out of Benet Academy in Lisle, Illinois. 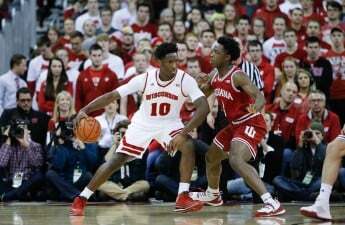 As a true freshman, then assistant coach Greg Gard admitted he wasn’t sure if Kaminsky was going to make it. This sentiment was further enforced by his first two seasons, where he averaged just 1.8 points in his freshman year and 4.2 points in his sophomore season in just around ten minutes of play a game. Fortunately, the hard work paid off for Kaminsky. 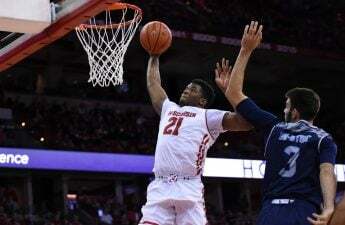 By his senior year, the star center was averaging 18.8 points and 8.2 rebounds while shooting 42 percent from the three and 58 percent from the field. While a hard work ethic certainly helped Kaminsky become the player he is today, genetics also contributed to his late development. Kaminsky was a late bloomer, both statistically and physically. It is not typical for a 6-foot-2 high school freshman to become the tallest player on a Division 1 basketball team by their first year in college. Since Kaminsky grew up playing point guard, he already had his perimeter skills relatively polished by the time he came to UW. And as Coach Gard mentioned, it is a lot easier to learn how to play inside as a big man than it is to learn how to play around the perimeter. Another current Badger who had a similar growth spurt is the team’s leading scorer, Ethan Happ. Kaminsky is widely known for helping Happ’s development as they practiced together when the forward was a redshirt freshman in the 2014-15 season. Ethan Happ elaborated on how his time with Kaminsky helped him improve his game. Kaminsky may have scored on Happ countless times during practice, but Happ retained these lessons and grew through experience. 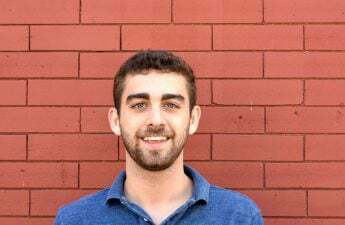 While Kaminsky was both a role model and a mentor during his time in Wisconsin, he will perhaps be remembered most for his larger-than-life personality. 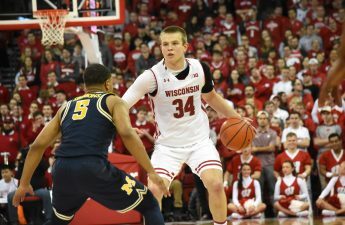 With three years passing since their championship appearance, Aaron Moesch is the only remaining Badger to have shared a court with Kaminsky. Moesch had some words on the experiences he shared with Kaminsky during their two years together. Kaminsky’s own favorite memory on the court was going to the Final Four twice, he said. But beyond being a star player for the basketball team, Kaminsky was, like anyone else, another student. Another Badger. With his current obligations as an NBA player, Kaminsky doesn’t get opportunities to visit Madison too frequently. 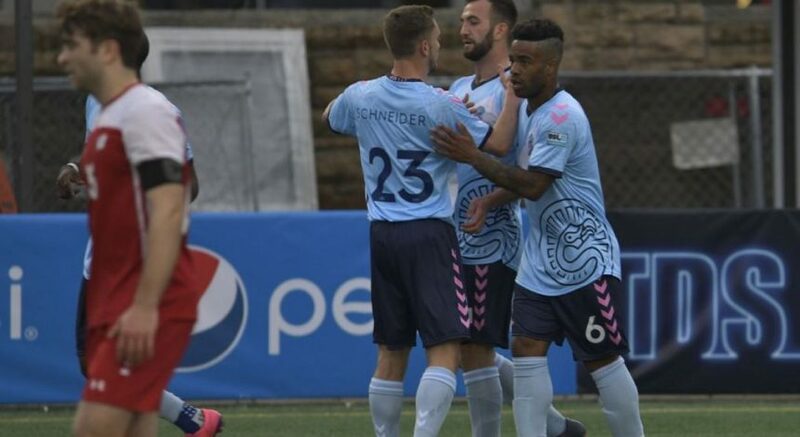 Don’t rule out “Frank the Tank” making a return to the program, however, in some kind of role after his playing days are over. 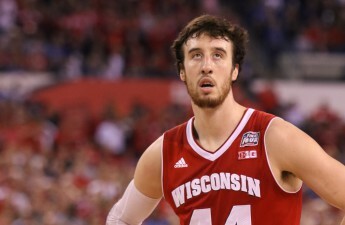 What will not change is the mark Kaminsky left on Wisconsin basketball. The team’s level of play over his tenure will not only help motivate current players but inspire future recruits to join the program. 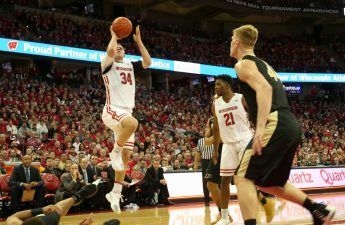 The Badgers have usually been regarded as a good team over the past few decades, but Kaminsky’s superb play helped make them great.